Commuter rail, also called suburban rail, is a passenger rail transport service between a city center, and outer suburbs and commuter towns or other locations that draw large numbers of commuters—people who travel on a daily basis. Trains operate following a schedule, at speeds varying from 50 to 200 km/h (30 to 125 mph). Distance charges or zone pricing may be used. The development of commuter rail services has become popular today, with the increased public awareness of congestion, dependence on fossil fuels, and other environmental issues, as well as the rising costs of owning, operating and parking automobiles. Compared to rapid transit, commuter rail has lower frequency, following a schedule rather than fixed intervals, and fewer stations spaced further apart. They serve lower density areas, and often share right-of-way with intercity or freight trains. Some services operate only during peak hours. Average speeds are high, often 50 km/h (30 mph) or higher. Some services include express services which skip some stations in order to run faster and separate riders from longer distance from short-distance ones. The general range of commuter trains’ distance varies between 15 and 200 km (10 and 125 miles). Their ability to coexist with freight or intercity services in the same right-of-way can drastically reduce system construction costs. However, frequently they are built with dedicated tracks within that right-of-way to prevent delays. Most such trains run on the local standard gauge track. Some light rail systems may run on a narrower gauge. 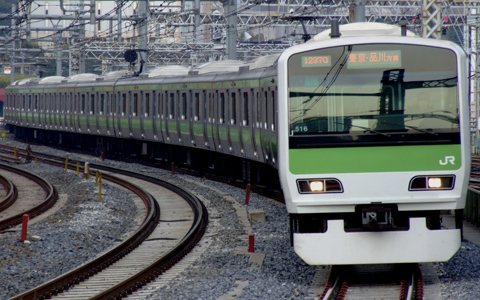 Examples of narrow gauge systems are found in Japan, Switzerland, in the Brisbane (Citytrain) and Perth (Transperth) systems in Australia, and on the Genoa-Casella line in Italy. Some countries, including India, Pakistan, Russia, Brazil and Sri Lanka, as well as Melbourne in Australia, use broad gauge. Commuter trains are usually optimized for maximum passenger volume, in most cases without sacrificing too much comfort and luggage space, though they seldom have all the amenities of long-distance trains. Cars may be single- or double-level, and aim to provide seating for all. Compared to intercity trains, they have less space, fewer amenities and limited baggage areas. Locomotive hauled services are used in some countries or locations. This is often a case of asset sweating, by using a single large combined fleet for intercity and regional services. Loco hauled services are usually run in push-pull formation, that is, the train can run with the locomotive at the “front” or “rear” of the train (pushing or pulling). Trains are often equipped with a control cab at the other end of the train from the locomotive, allowing the train operator to operate the train from either end. 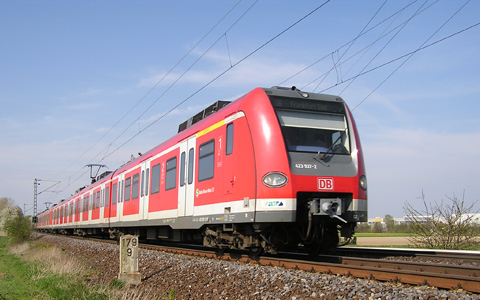 The motive power for locomotive-hauled commuter trains may be either electric or Diesel-electric, although some countries, such as Germany and some of the former Soviet-bloc countries, also use diesel-hydraulic locomotives.